Cozy & charming 2 bedroom home with formal dining room, large kitchen, main floor laundry, brand new front porch & back deck. Completely remodeled with new exterior doors, new flooring, new carpet in bedrooms, new porcelain tile in bathroom, new water heater, all new plumbing from meter to inside (with pex), new breaker box, interior paint. Siding & roof 2-3 years old. New gas line from meter to house. New laminate tile flooring in LA, DR & kitchen, 1 car garage in back & off-street parking. St Joseph on 15th Street between Patee & Olvie. 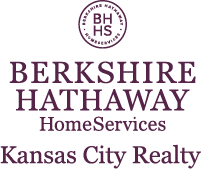 I am interested in 806 S 15th Street, Saint Joseph, MO 64501.